Digital asset management was new to Jeanne Duncan and her team at Masco Coatings Group. She’s worked at the manufacturing company for 19 years, and throughout most of that time, they had gotten by without a digital asset system. Their creative team relied on those who worked there for a long time and just knew where to find things. “The company was growing at a really fast rate, and we knew we couldn’t keep up with doing things the way we’ve always done it,” says Jeanne. Jeanne is the Graphics Production Manager at Masco Coatings Group which includes the Behr brand and Kilz brand. Her team primarily creates print materials, like product packaging and in-store POPs. “We didn’t have much of a system. We pretty much relied a lot on our print vendors to provide assets back to us after they’ve been retouched and things like that,” says Jeanne. Assets were categorized in a folder structure but were stored in places like hard drives under peoples desks. They needed a more effective system to support their company’s growth. 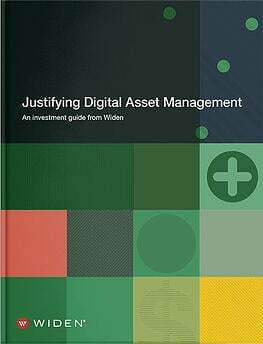 Lesson 1: Hire a digital asset manager. The team selected Widen Collective® and then started the work of implementing the new system. Their existing folder structure provided a starting place for categorizing assets in their DAM system. The implementation team worked with other managers for their guidance and assistance in combing through existing assets. Lesson 2: Spend time thinking about how you want to categorize assets before uploading them to the DAM system. Lesson 3: Get rid of assets you don’t need before uploading them to the DAM system. After preparing the system, it was time to launch. “I don’t think you ever know you’re ready to launch. You just have to jump in and see how it goes. There’s always room for improvement, tweaks,” says Jeanne. Lesson 4: Your DAM system doesn’t have to be perfect to launch. You can and should make adjustments continuously. For the full story, listen to episode ten of the Widen Implementation Podcast. The Widen Implementation Podcast helps customers prepare for and execute their DAM system rollout. Each episode features conversations with a DAM champion who has implemented the Collective. We hope that these podcasts will equip future Widen customers with the tips and insights they need to execute their own successful implementation. Jeanne Duncan is the Graphics Production Manager at Masco Coatings Group. Before Masco, Jeanne worked for nearly ten years at a manufacturing company, Ameron International. She started as an intern at their corporate office and then transferred to two divisions including an Industrial Coatings Division and a Concrete Pipe Division. She enjoys a variety of projects from graphics production, trade show management, and print media buying. Jeanne graduated from Cal State University, Fullerton with a degree in Communications and an emphasis in Advertising. Headquartered in Livonia, MI, Masco Corporation is a global leader in the design, manufacturing, and distribution of branded home improvement and building products. Masco has four product categories and a portfolio of well-known, leading brands. One of the brands, Behr, is a dynamic company that actively embraces quality and innovation to bring their customers the best in paints, primers, stains, and other specialty products and services. Behr's entrepreneurial spirit and commitment to integrity has been the cornerstone of their success since 1947. Bill Banham is a marketing and publishing professional based in Toronto. He is the founder of the HR Gazette and Iceni Marketing as well as the co-founder of the WorkingTech show and the InnovateWork event series. Bill hosts several CPSA podcast shows on topics including social selling and tech, business strategy, and sales strategy. Listen to more episodes from the Widen Implementation Podcast series. 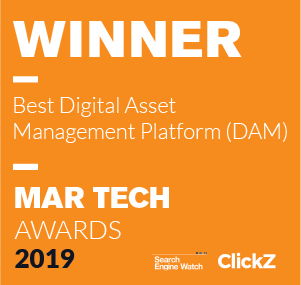 Where marketing and creative teams find actionable advice, practical resources, and success stories to flourish in a world connected by content. We can send you our best articles. 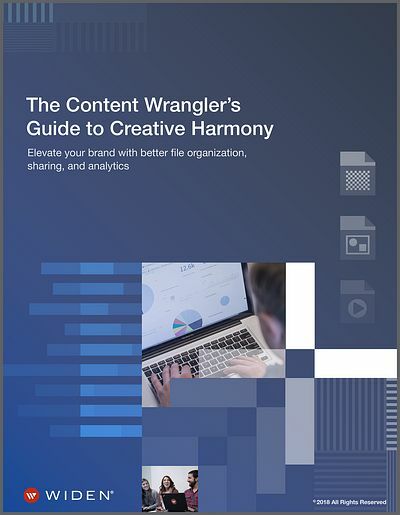 Read this guide to help you elevate your brand with better file organization, sharing, and analytics in order to keep your content and your sanity in check. This guide will explain how the right tools, and optimizing your video workflow can have a serious impact on internal cost savings, and increased sales. 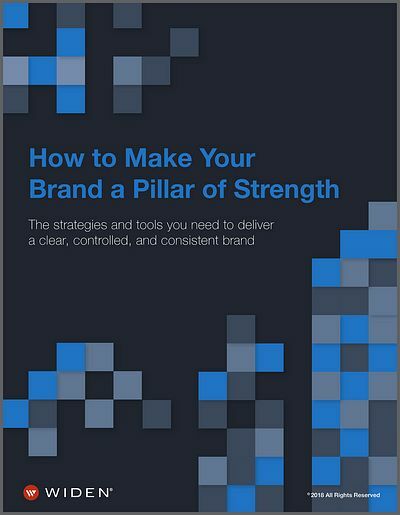 The simple strategies in this guide will help you tackle brand management successfully, one step at a time. Complete the following form to immediately upload, download, search, share, and review assets in Widen's leading cloud-based DAM solution. Return to trial now and Sign in.